← SteigFEST 14: Happy birthday, Bill! This is super for girls. Was it around when we were little? Of course it wasn’t Robert Munsch isn’t that old 😉 It seems like such a fairy tale it ought to be older. It came out when I was a sassy critter of 16! I need to pick this one up. Love stories with strong female characters. And you can’t beat a Sassy dragon. Fun review, Julie! Had I known her then, I would have dressed myself as the Paper Bag Princess for Halloween! I love strong female characters. With 75 printings, this must be a special book. I love the artwork! I really like how the artist portrayed the emotions, Patricia – super! This was also one of the most popular when I was reading stories in our school library. I love the dragon. So cool! I am enjoying your posts. Reading your reviews is a welcome respite from working to promote my new book. Thanks for sharing! Do post a link for me, Michelle, so I can read more about it! I bought this book for a number of girls (and boys.) I remember reading it to a little girl I babysat for while I was in college who I’ve heard is now an aerospace engineer. Thanks to you, of course! 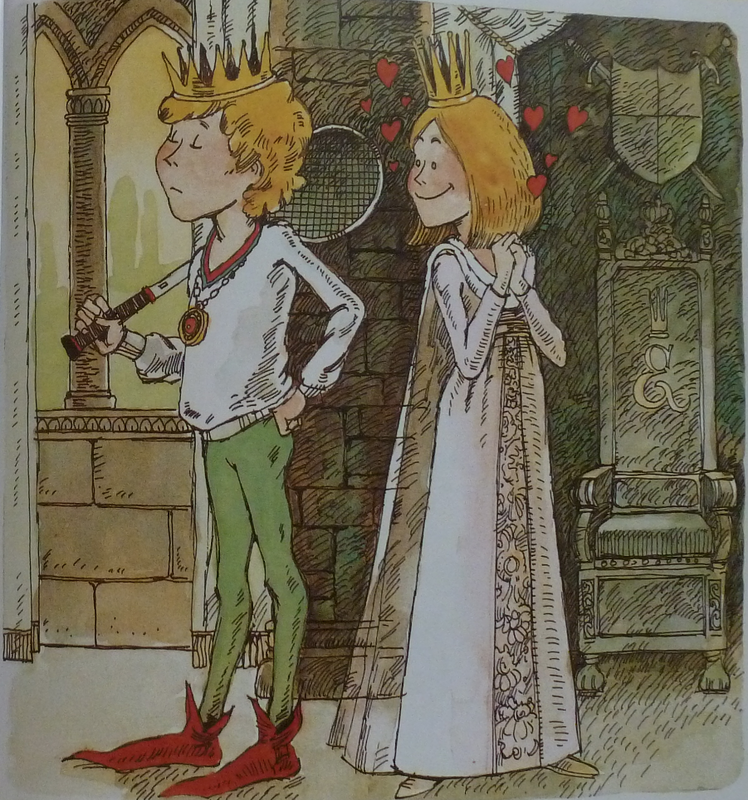 What charming illustrations. . .and how often we feel unappreciated. Cute story. Have a wonderful Thanksgiving, Julie! Thanks, Jarm – and a wonderful Thanksgiving to you and your family too! This is the best Princess book ever!!!!! Just wish I’d known it sooner! An absolute favorite from my childhood! I should have figured as much! I totally agree. This was one of the most-checked-out books at my son’s elementary school. This is a favorite here, too. 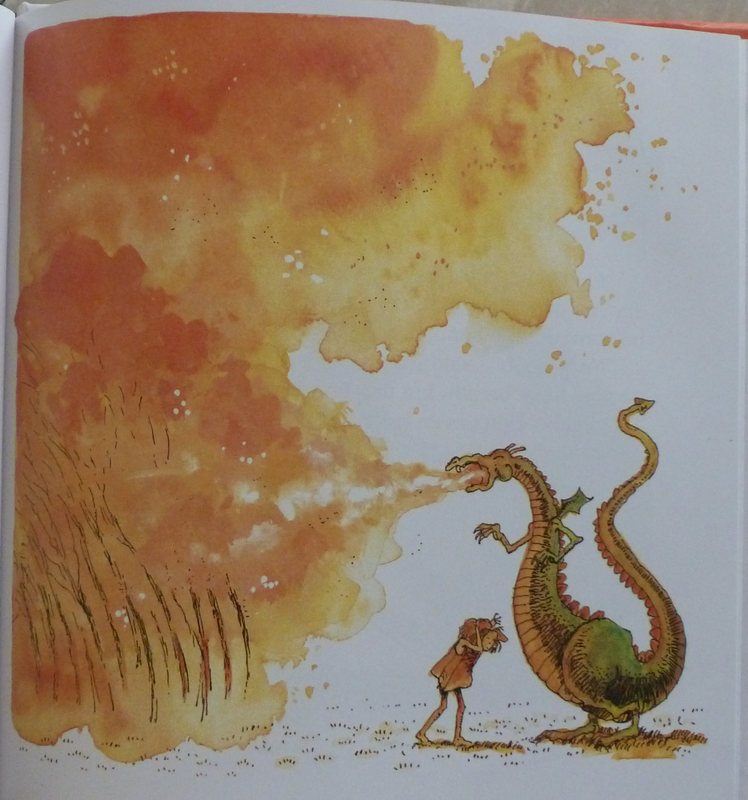 I think it is a fabulous book to read to my eldest son. Strong female characters are good for boys, too. 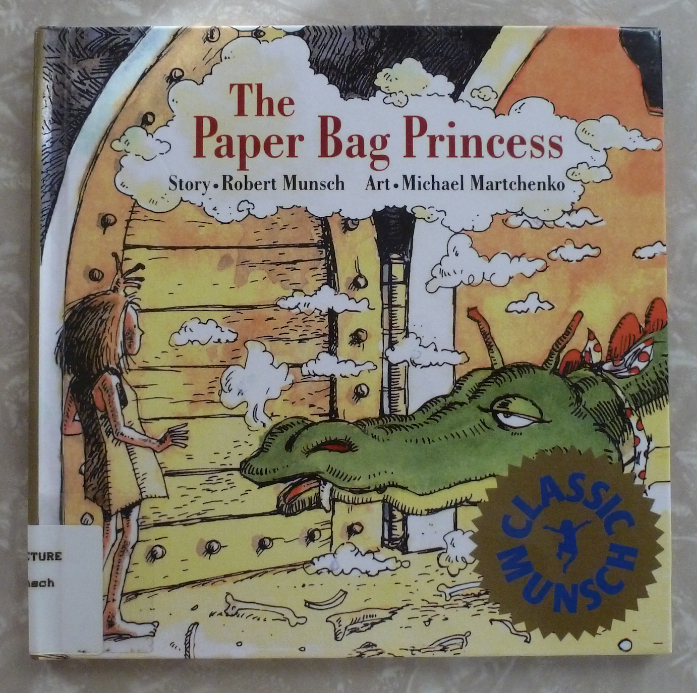 Have you heard Robert Munsch read it? Here it is on youtube: https://www.youtube.com/watch?v=hIPrb-sA6Uo He’s a very animated storyteller. It’s a lot of fun. Absolutely agree! And thanks so much for the video link! The problem with PPBF is that there are just to many darn awesome books out there. Here’s another I’ve never read. And it sounds fabulous. So off to find it and see for myself! Thanks! I’m only familiar with his book with the creepy mom. I’ll need to try this one out. I love sassy female characters too. One we had to read was Aaron’s Hair! Have you read the Enzo books out there? Love love love the paperbag princess! Did you introduce us to that book way back when? No! My friend Stacy just told me about it a few weeks ago! I read this one a whole ago and I remember really liking it. I have to put it on my re-read list! Yeah, that is a weird one! I would love for ppbf-ers to recommend more classics so I could discover more!